I perused the menu and that does look like one hell of a deal. 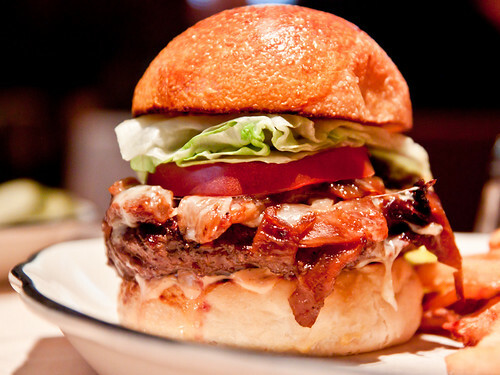 This would be right on the border where I think the burger becomes too large, but it looks so damn good. I meant to ask on SE, did you cut the burger yourself? 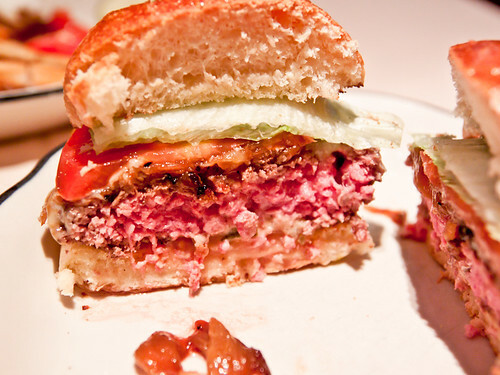 Is it just me, or does that burger look....marred? Rodzilla - yeah man, I cut all my own burgers. You think I'd trust an amateur to do my job?! Anonymous - think so. I mean, I'm coming from a materials science background so non-uniform surfaces are seen as imperfections... but hey, what do I know? 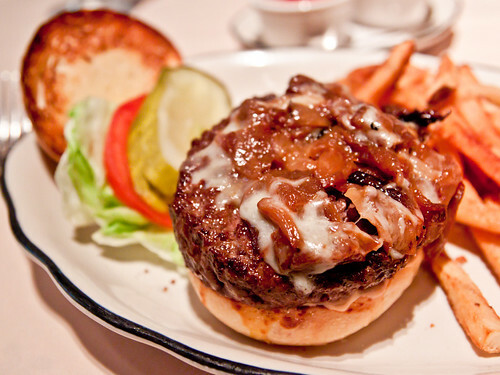 This looks incredibly delicious, I am very sad I did not partake during the time I lived in Philly.